Click this link to view a 5 minute introduction to PCC. An average petrochemical plant can use between 50 to 500 different pipe classes. If a pipe class consists of for example 250 components, the pipe specification containing all pipe classes defines over 10,000 components. It is a tedious task to define the pipe classes during the design phase of a project, to handle them during construction and maintain the warehouse with spare components during operation of the plant without proper software tools. 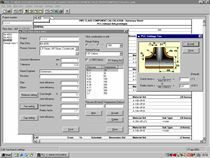 PCC is a pipe class component selection and calculation application. The selection of components is made efficient by providing drag and drop facilities, cut, copy and paste, and multi selection like in a spreadsheet application. Full pipe classes can be copied for example to evaluate alternatives. 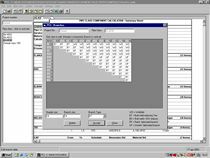 PCC is a bulk calculation program. 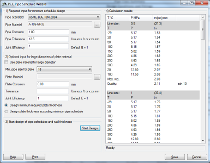 All the strength calculations are done on the fly, everything can be exported to spreadsheet format, pipe classes can be exported and imported in XML format. The XML format can be used to import data in to other applications like ERP systems. 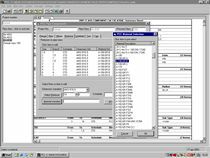 PCC can also select pipe schedules by using the designer wizard. Only a limited amount of basic information is required and PCC will select the minimum required schedules based on the design conditions. PCC can calculated according three codes ASME B31.3, EN13480 and RToD. The code can be changed by changing only the code selection. PCC will determine by itself whether the selected materials can be used for the selected code. Conclusion: PCC is tuned for efficiency. The use of spreadsheet calculations and endless manual iterations to find the best solutions is not necessary anymore. Now the engineer can very quickly determine whether for example two pipe classes can be combined or not, or whether the elbow and tees are critical for stress calculations later in the design process. Red-Bag is developing software which must be the best solution for a specific task. PCC is a good example where selection, calculation, evaluation, reporting and exporting is merged in a tool that serves its purpose. The best proof is that our clients buy our software, not because we are the cheapest, but because they want our software.